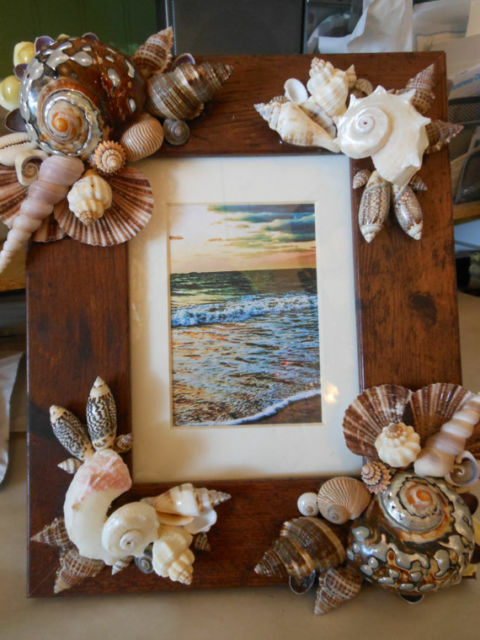 This beauty was made with quite a few different types of shells. I only did the corners of this frame, using a mirrored pattern, making it especially striking! The focal points of this frame are the Turbo Sarmarticus and the polished swirl shells. I kept with a natural color scheme for this brown frame. The frame fits a 4 X 6 picture. The outside of the frame measures 10 1/2 by 8 1/2 inches.